No matter what Paul McCartney releases in the creative years that he can still enjoy, his legacy has been taken care of since 1962. With John Lennon he was the Bach, Mozart and Von Beethoven of our day and age. Their songs will last forever, part of the 20th century canon. With one major difference: the original recordings are available as long as there are devices to play them on and electricity to work them. So a new album by the now 76 year old McCartney is not the media event it once was. Until a TV talkshow host invited him to do a car karaoke and drive him through his hometown of Liverpool and elicited millions of views on You Tube and a total media craze announcing the new album, Egypt Station. The album is out and available for a ridiculous price on LP; What were you thinking, Paul?! That aside, how is Egypt Station? To be honest, all albums since 'Flaming Pie' were not able to really catch my ear. I simply wasn't interested enough by what was on offer. And I have strong doubts whether this will change with Egypt Station. Yes, the album holds several songs that deserve the moniker 'good'. Paul McCartney still knows how to write a good song. A few even are really fun to listen to. The single 'Come On To Me' is the kind of ear worm the man used to have a patent for. The funny thing is that every single review I've seen so far disses 'Fuh You'. In fact I rather like the song. It holds more life than any Coldplay song released since 2003, o.k., perhaps 2005, and when I've reached the ripe old age of 76 I hope to still be singing this message to my love as enthusiastically as Paul is singing here. Ha! 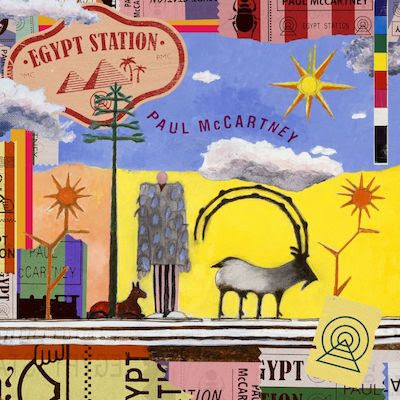 Listening deeper into the album I get the impression that should I chose to invest the time in Egypt Station, things may even come alright between the two of us. That there is enough to discover on the album to make the investment worth my while. There are more than enough Beatlesque elements to enjoy. Somehow there is not enough to make me do so, I'm afraid. I am simply not such a big Macca fan any more and rather invest in the latest Arctic Monkeys instead. 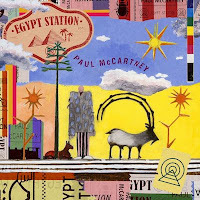 It is good to read that a lot of people are happy with Egypt Station, so go, Paul, go and please the world for as long as you can.